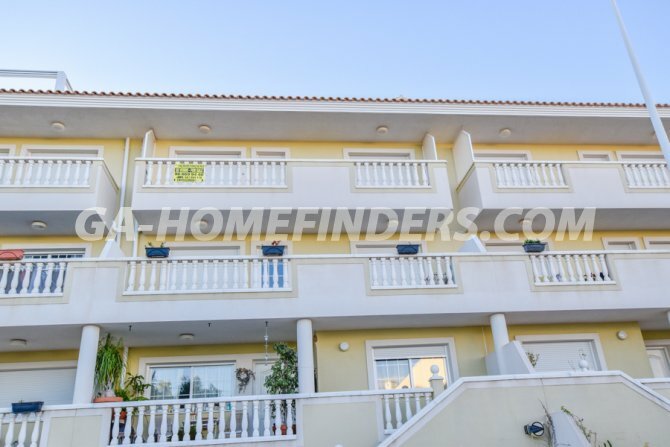 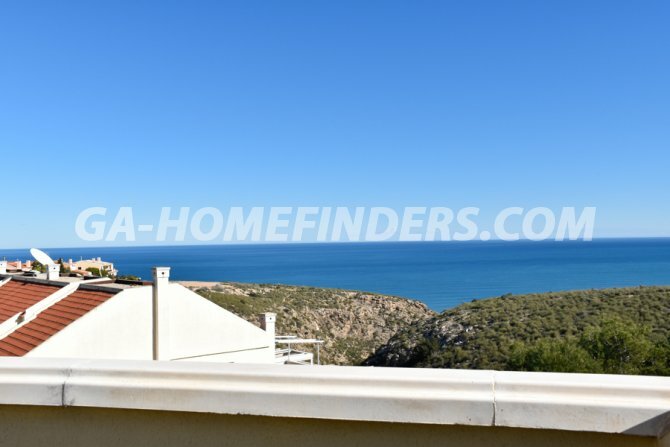 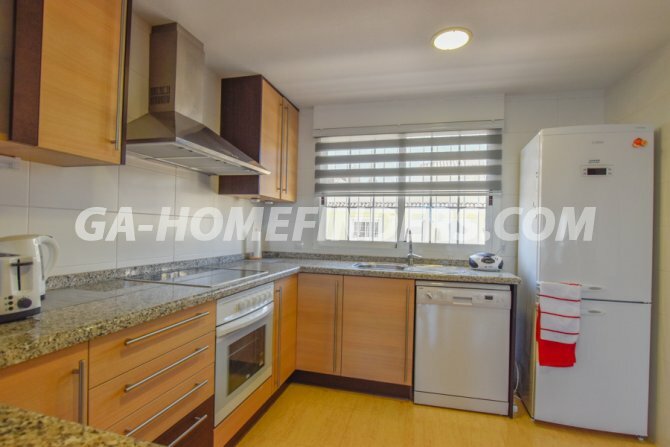 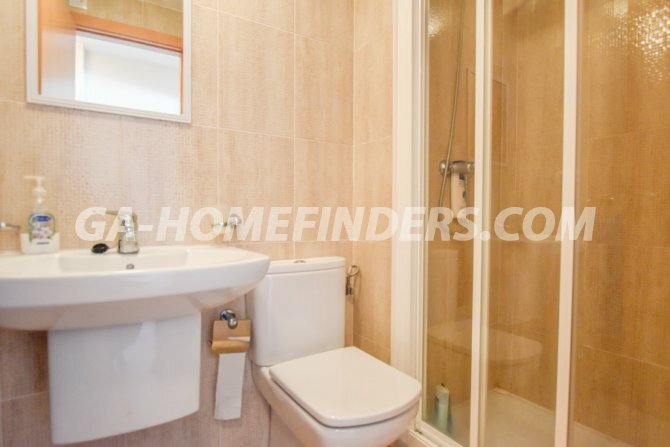 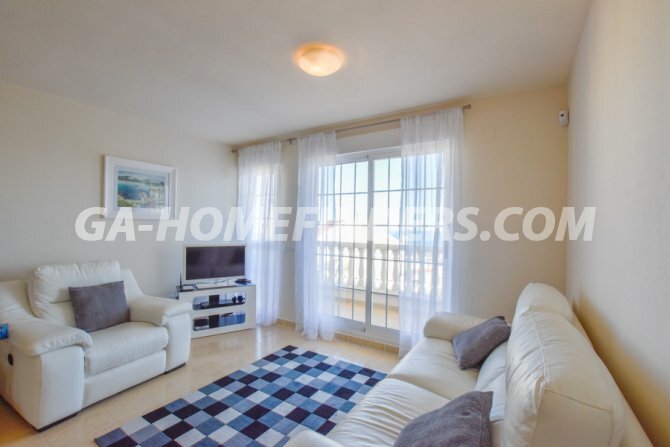 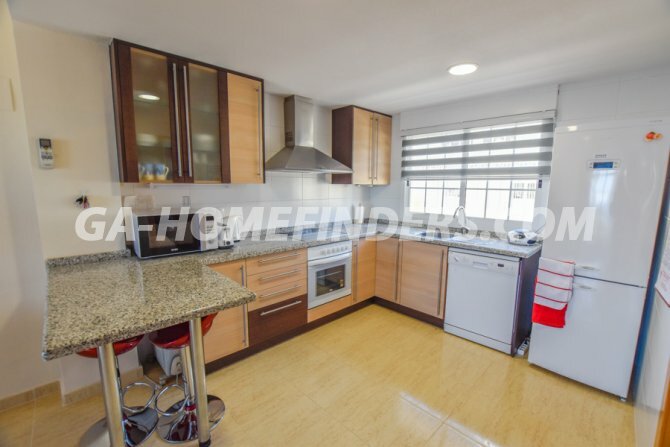 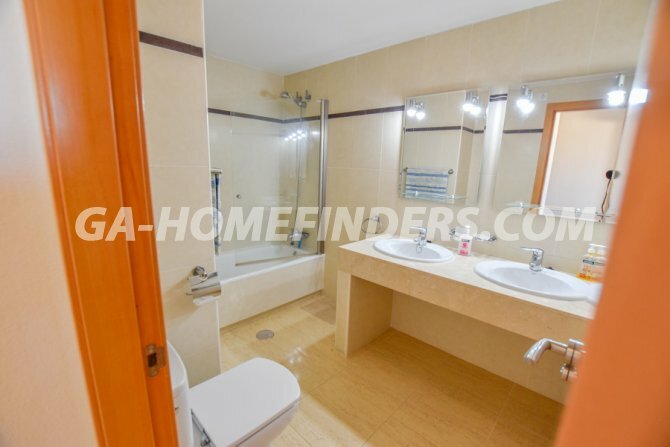 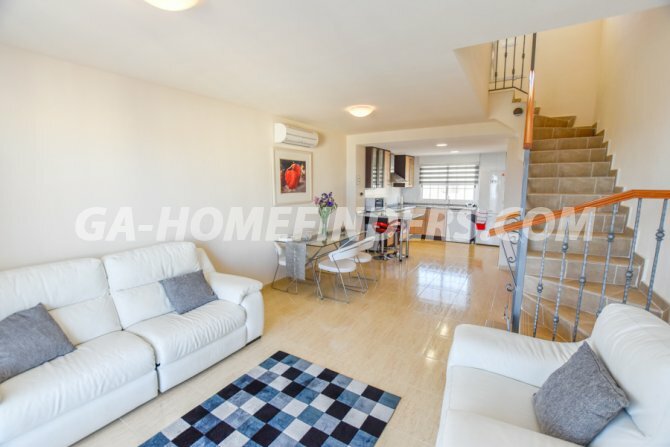 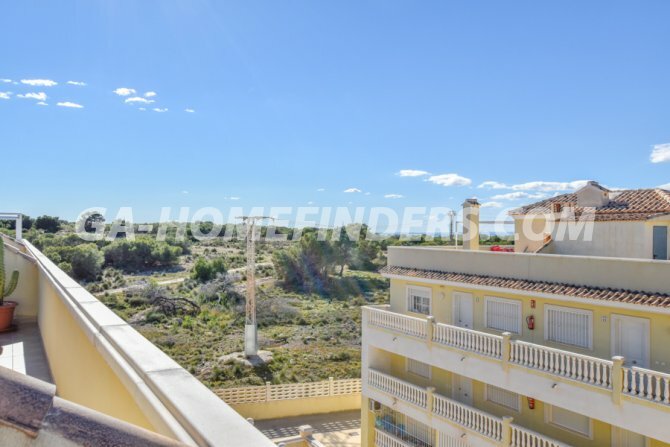 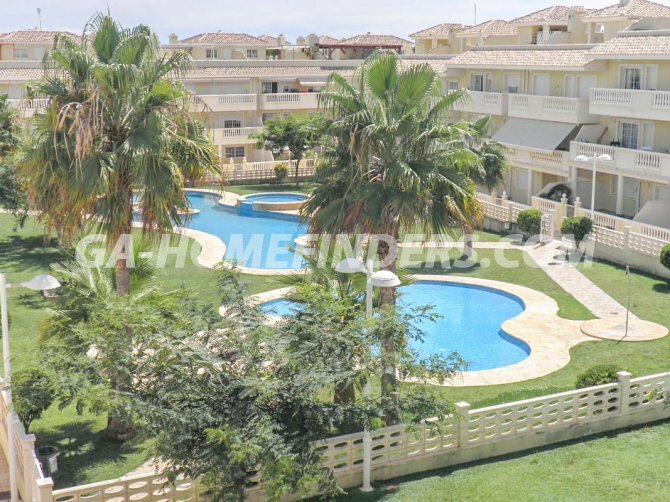 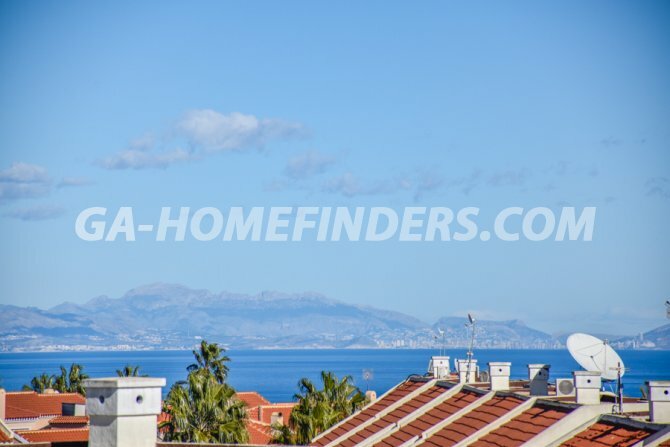 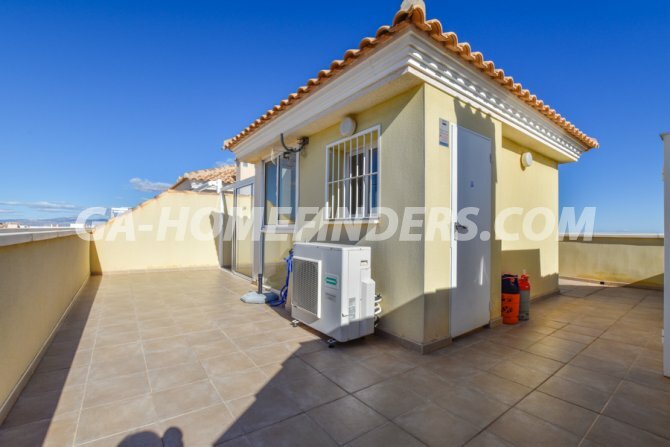 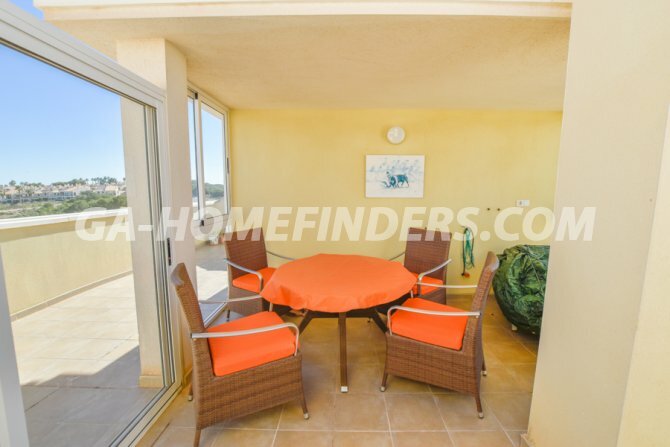 Furnished top floor apartment with all the living accommodation on one floor. 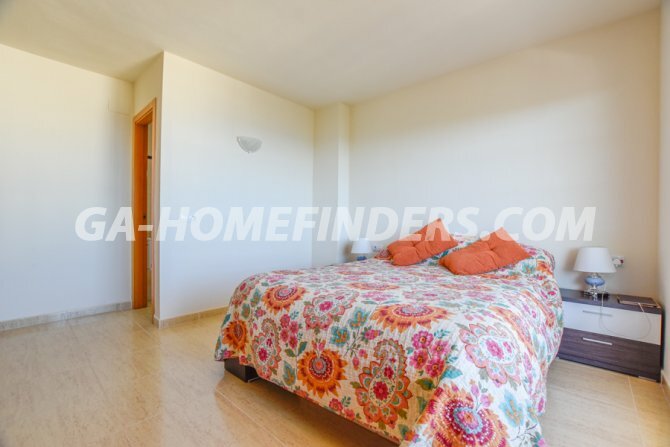 It has two bedrooms both of which have fitted wardrobes and two bathrooms. 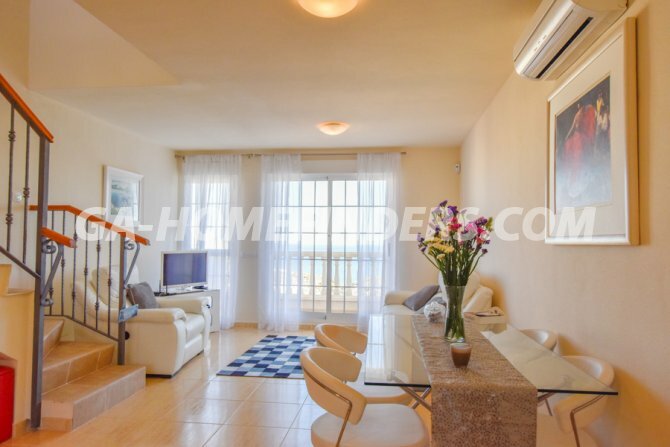 The master bedroom has an en suite bathroom and access to a terrace with sea views. 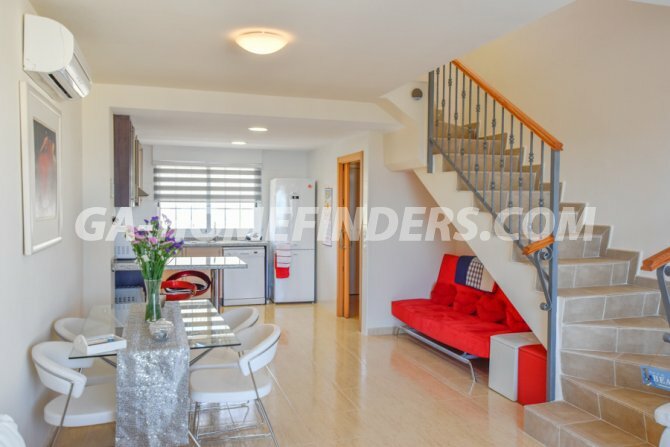 It has a large living/dining room with an open plan American style kitchen which is fully equipped with all the appliances. 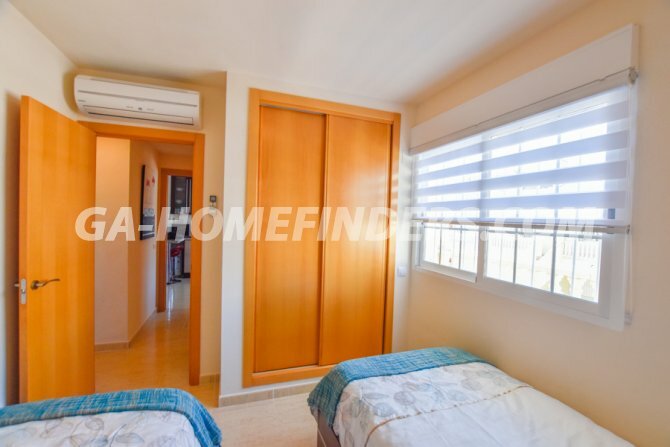 All areas of the house have air conditioning (hot and cold) and all the windows have electric blinds. 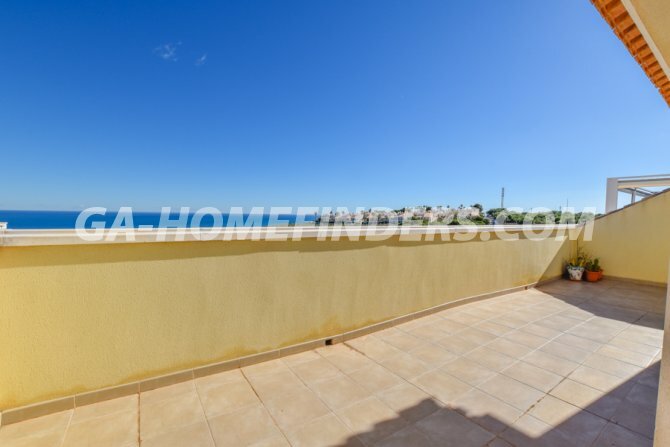 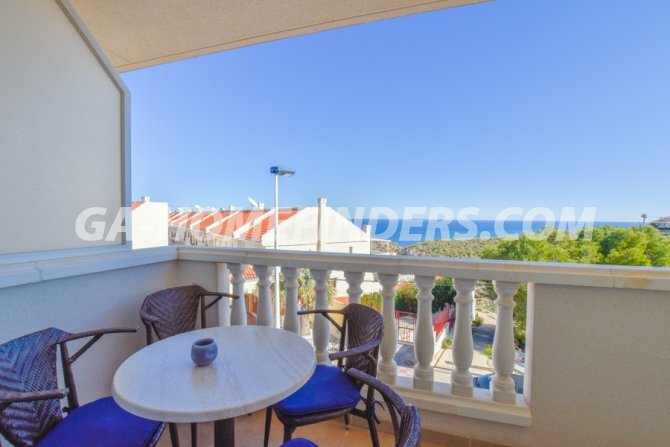 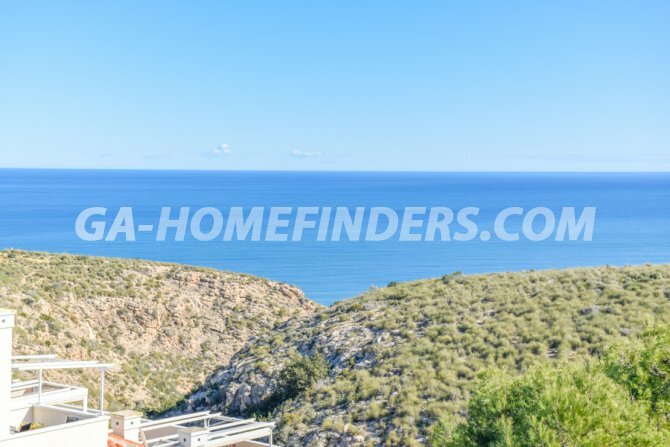 There is a large East facing terrace which has wonderful sea views. 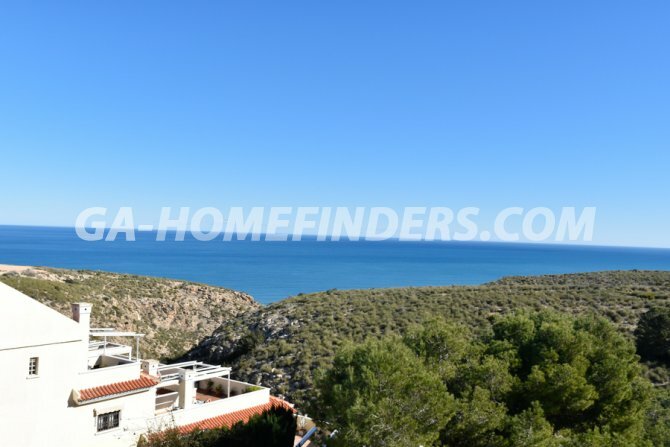 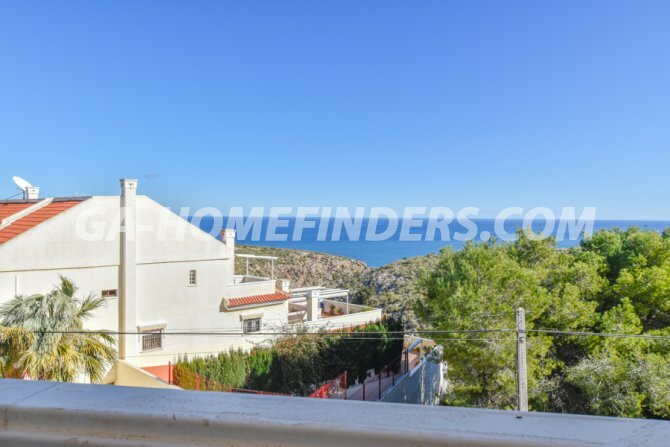 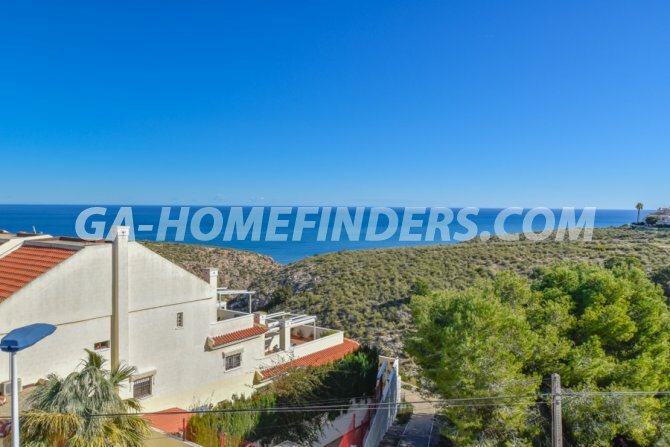 On the upper floor of the apartment is the solarium where there is a partially glazed sun room, the views from there are to Alicante. 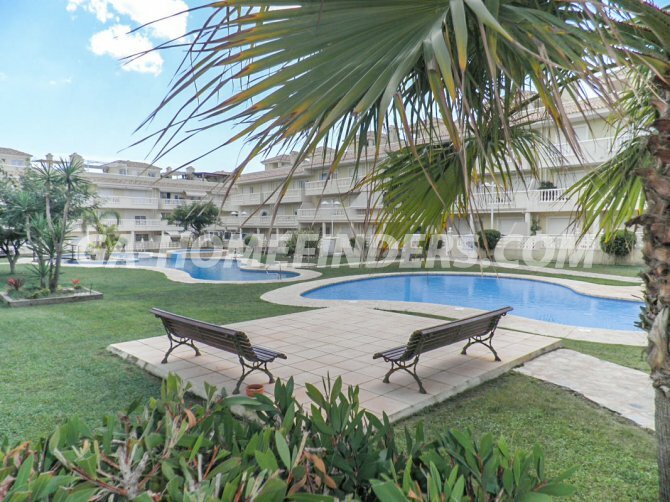 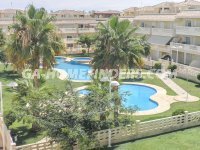 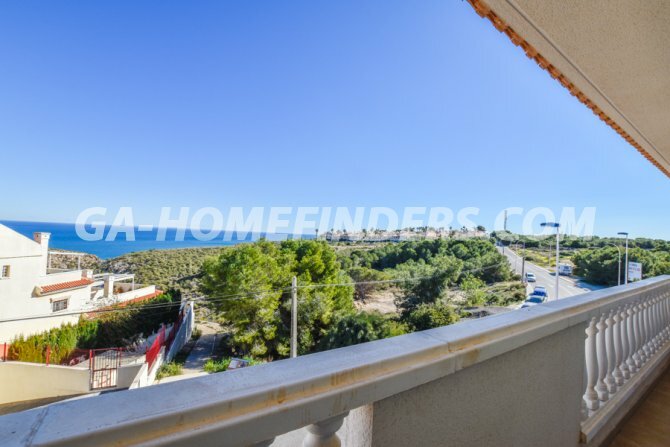 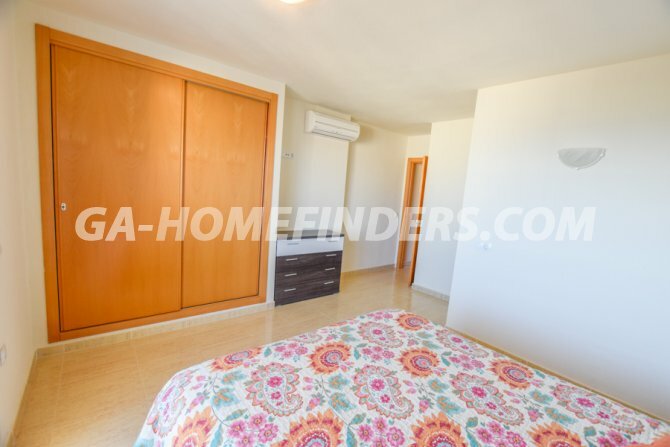 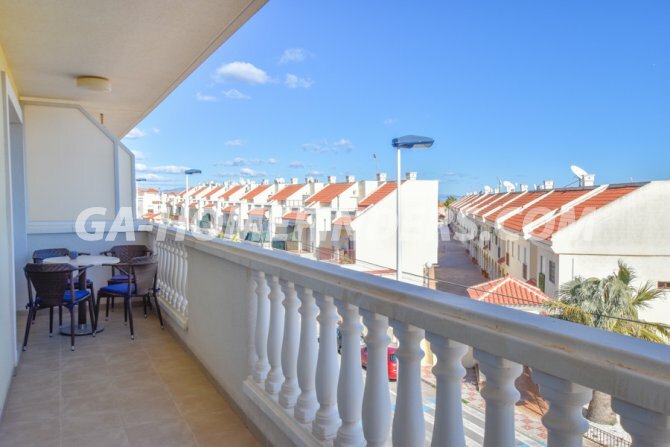 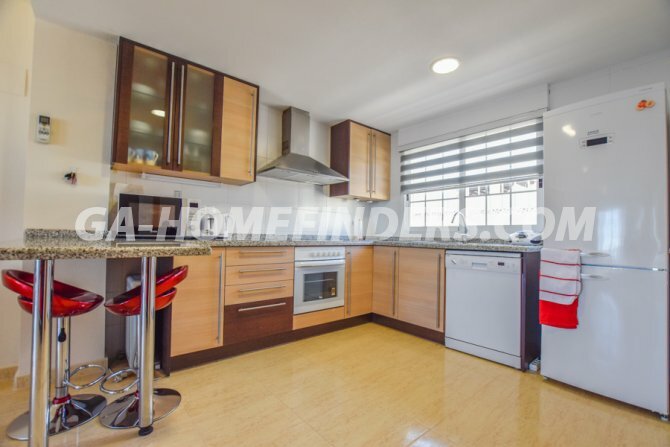 The apartment is situated in the upper part of Gran Alacant in a very quiet urbanisation with its own allocated parking space and a communal pool surrounded by large green areas.